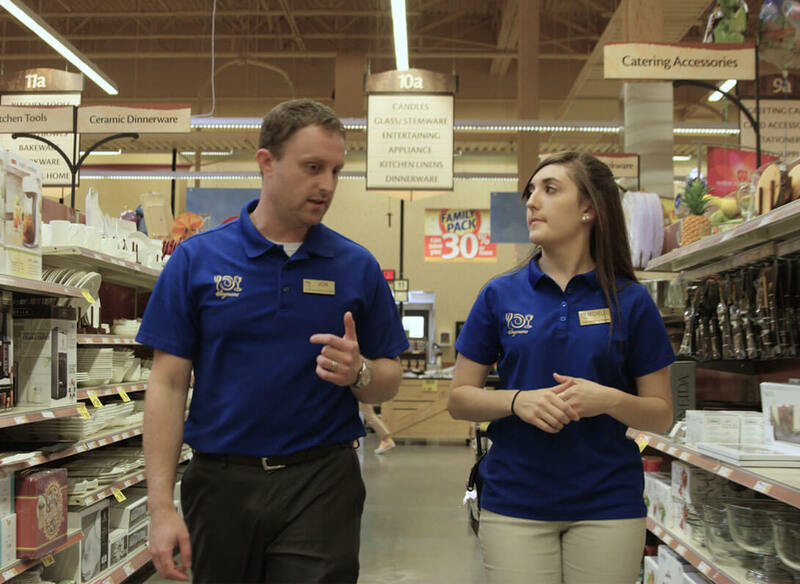 At Wegmans, we give our full support to helping students and recent graduates create a career they’ll love. Whether that means providing a scholarship that leads to a degree or an internship that gives real world experience, we believe in creating programs that help people achieve their goals. At Wegmans, we believe education is important, and we know that financing it can be difficult. We created our scholarship program to help. 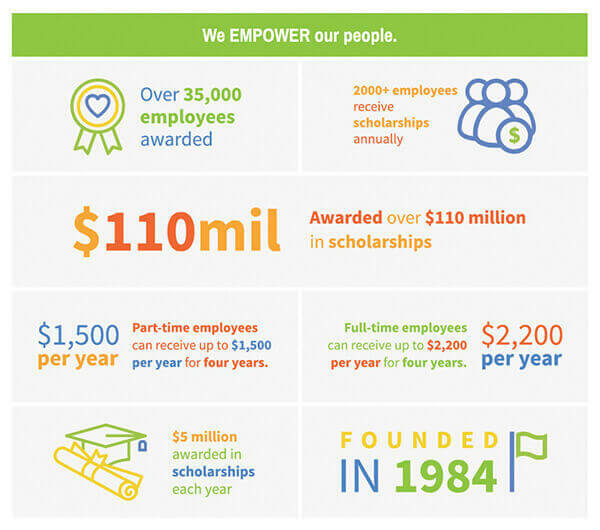 Since 1984, we’ve given over $105 million in tuition assistance to over 33,000 employees working toward their degree. This investment helps us, too. Our employees know we are dedicated to their learning and growth, and stay with us because of our commitment. In fact, much of our leadership team across the company has worked with Wegmans since high school or college, starting as part-time cashiers while completing their education using our scholarship. At Wegmans, we want to attract and develop the best talent so that we can continue delivering the best to our customers. We work toward that goal through partnerships with schools, colleges and universities. That means we give scholarships and support for students enrolled in schools we partner with and work to create awareness about Wegmans’ career opportunities through on-campus outreach. We want to give our new leaders skills for success. Motivated self-starters looking to launch a career in store operations can work hands-on with products and customers to strengthen abilities and build understanding of our business operations. All with the aim of growing into the role of Department Manager. 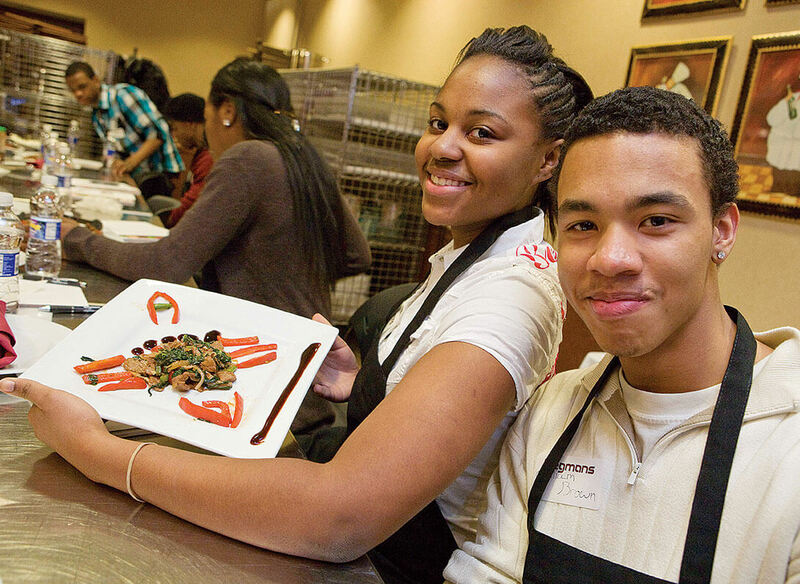 Bring your experience to our comprehensive, accelerated training program that guides high-potential culinarians to a Wegmans leadership position. Participants learn new skills, have access to seminars and certifications and mentoring by regional or executive chefs. If you’re currently enrolled in a two- or four-year culinary program, our culinary internships and externships give you the chance to gain a world of knowledge by working alongside our talented chefs. The programs provide learning opportunities and career development with the end goal of full-time employment at Wegmans.